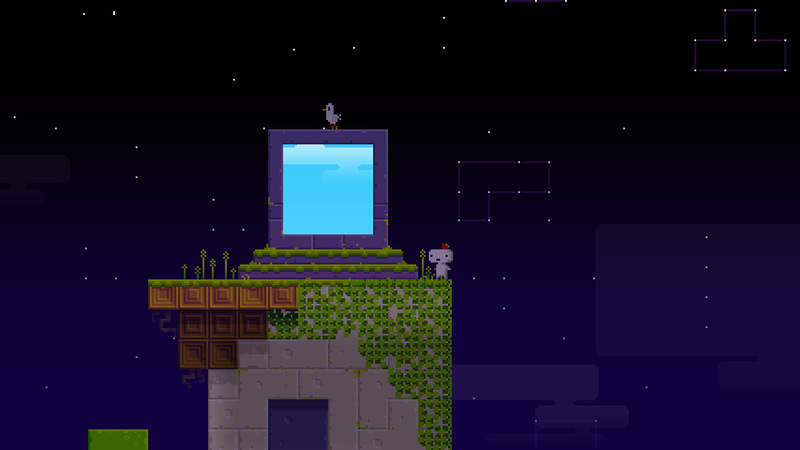 Fez is one of those games that captures you when you first look at it. If it’s the first impression that will either open the door or close it, Fez busts the damn thing open with guns a-blazin’. 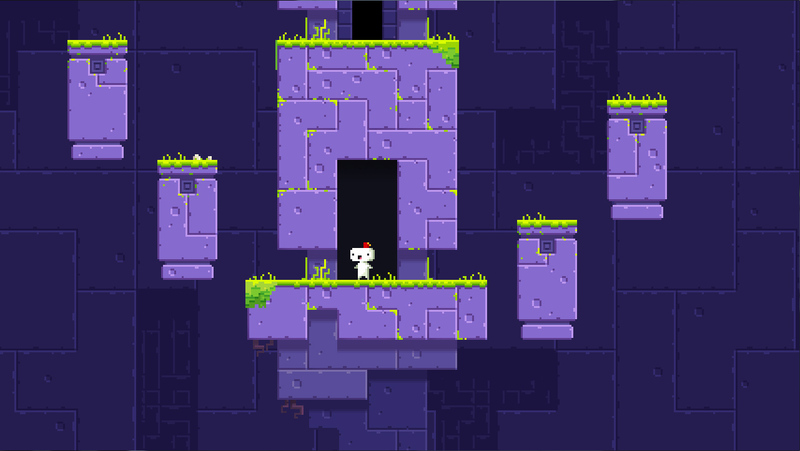 Frankly, I’m relieved that video of the game exists because I was thinking about how hard it would be to demonstrate how visually stunning Fez is with pictures alone. 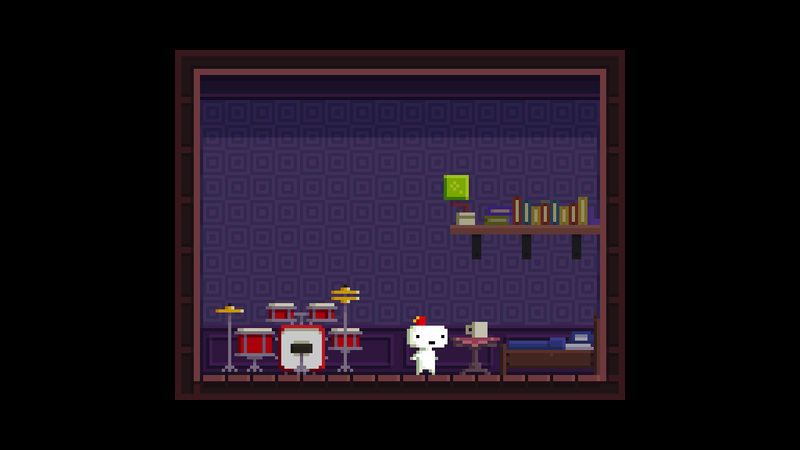 I mean, I drafted a quick little picture diagram so that I could help explain the sheer awesomeness that is Fez. Because without it, on first glance you’d definitely think it had some type of roots with Cave Story. Just to explain what I mean, I jammed two pics together so you can see some similarities. 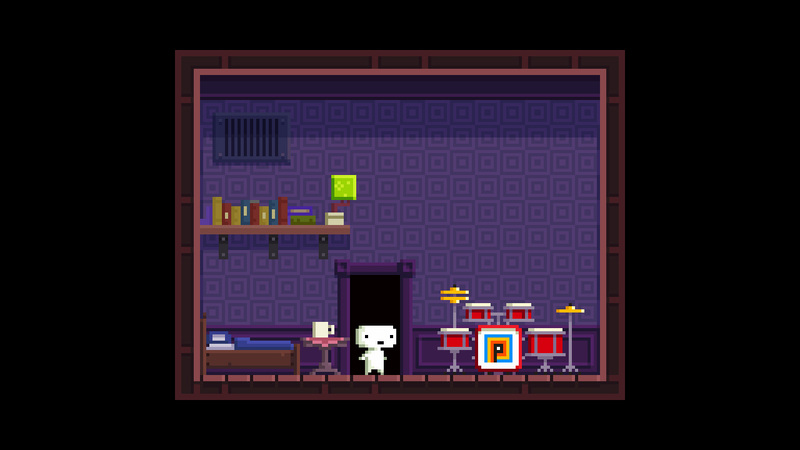 Before I show the video I’d like to take a minute and explain why Fez is more than Cave Story. 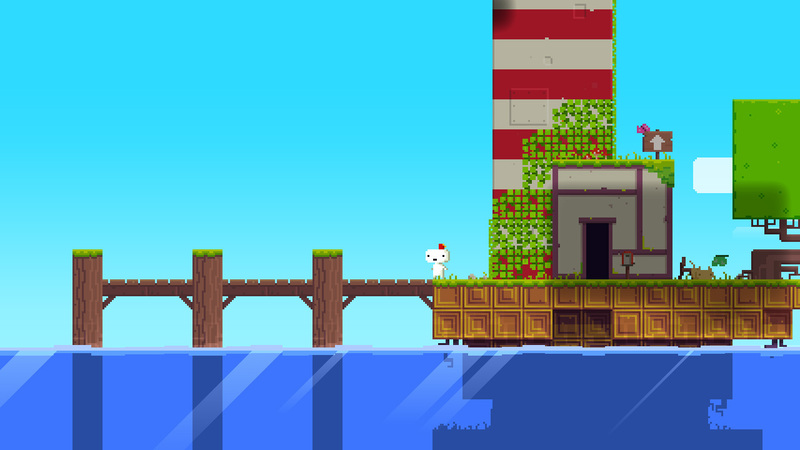 First, as far as I’m aware, Fez isn’t a MetroidVania type, instead there is a heavier focus on exploring and puzzles. 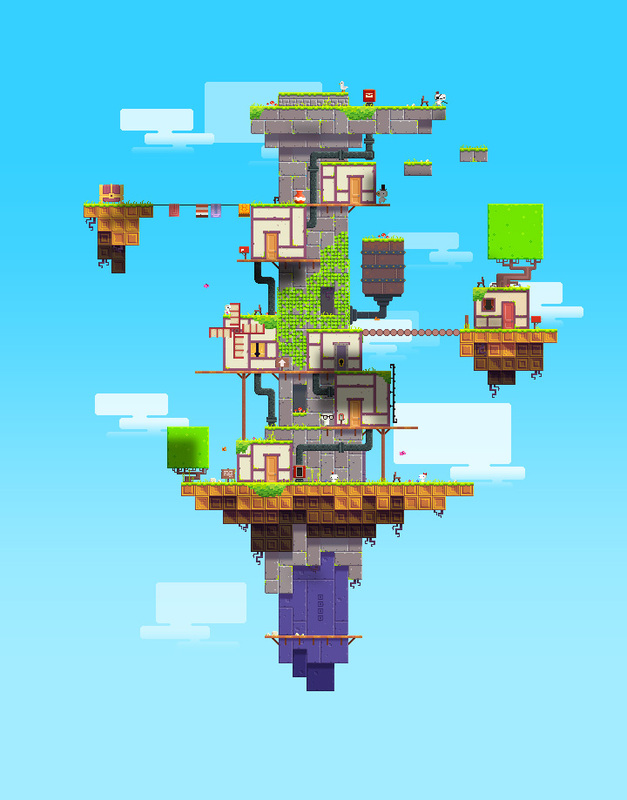 Second, and what is probably most important, is that the world of Fez is multi-dimensional. So to solve riddles and puzzles will require that you move a 2D world around in 3D. It’s important to remember that even though you are moving it around in 3D and it can seem like buildings and objects are actually three dimensional, that’s only one side of it. You see the Fez hat has magical properties that can bend space to your advantage. In essence, flatten a 3D world into 2D. I created a very simple diagram below of what that means. You are the top black dot. On the top part of the image, you are on the left side of the platform. 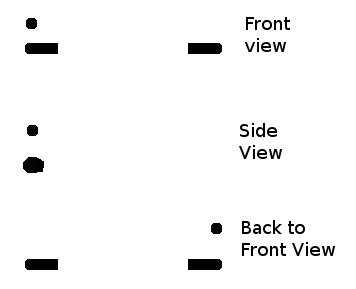 But by moving the world in 3D, you can see that the platform exists on the same plane and you can no longer see the gap separating the platforms. When you rotate the world back to the front you, you can gain access across the gap. 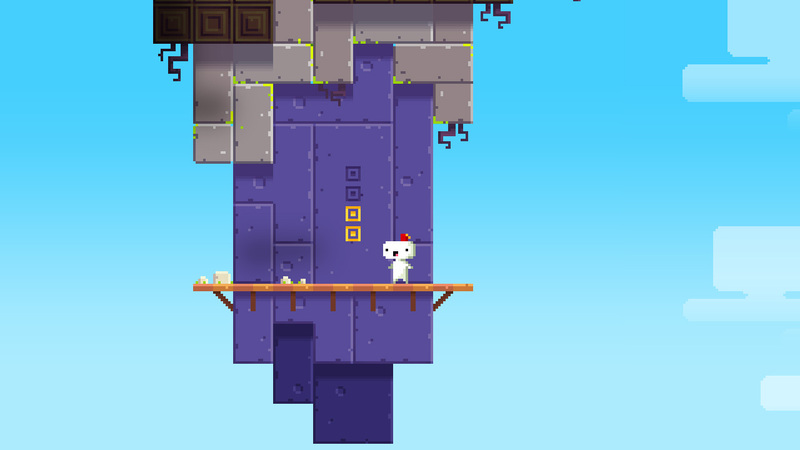 That is the power of Fez. Obviously my horrendous drawing is only to cite as an example. To see a better example, I composed the screen shots of a front and back view and cubified it, to give another good example. 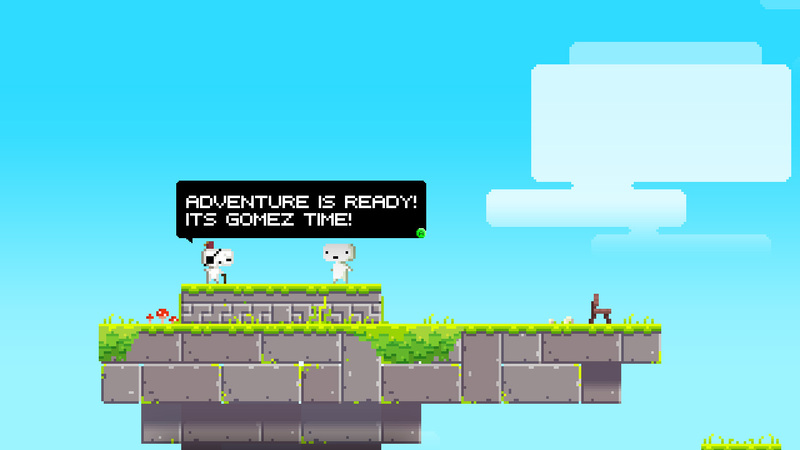 Fez is going to knock it out of the park. The Polytron guys are set to unleash a masterpiece later this year. I just have one of those feelings, you know? If you are still a non-believer, do yourself a favor and take a gander at the video below and take note of all the ambient motion and shading relative to perspective. I am a huge believer in the little details. It really escalates your involvement in a game and it’s not cheesy grand gestures with big signs and horns pointing at itself while patting itself on the back. Tiny things that breath life into a game. I really dig that stuff. 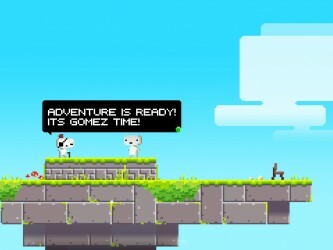 Fez is slated to arrive later this year on XBLA, not quite sure if we will see a PC release and pricing is TBD. I’ll be keeping a close eye on Fez and will report as soon as I have any new.. news.